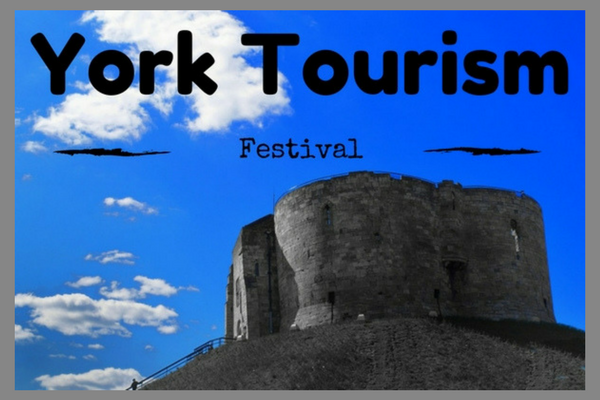 In 2017 York and tourism fit together just like York and the railways or York and chocolate did in the 19th century. This beautiful and historic city of ours, and some amazing countryside nearby, continue to attract visitors from around the UK as well as from overseas, whether their first language is English, Chinese, Spanish, or something else entirely. There’s certainly a lot going on in the city’s tourism sector this year. For starters, the Vikings return with a vengeance when the Jorvik centre reopens in April following a multi-million pound “re-imagining” after the mess and upset of the December 2015 floods. The Early Music Festival will celebrate its 40th Anniversary in July, mixing music from the 12th to the 18th centuries with York’s churches, guildhalls and medieval houses. And, the Mansion House plans to throw open its doors this summer following an exciting and extensive refurbishment. Home to the Lord Mayor since 1732, it will be open five days a week for us all to explore. As if that wasn’t enough (on top of the heady array of museums, events, walks, restaurants, cafes and shops) a multi-million-pound wildlife and conservation Centre at York’s Askham Bryan College will open in the spring. It has a truly praiseworthy mission – to inspire and educate future generations to respect and conserve animals and plants. Wildlife will include lemurs, wallabies, skunks, caiman, armadillos, snakes and tarantula spiders. Even if these ‘Fantastic Beasts’ don’t massively boost the number of tourists (and they really should! We’re certainly planning our own visit! ), the falling pound in recent months has meant many foreign tourists have been attracted to the UK for shopping as well as to visit the sites. That could mean even more American and Asian visitors in 2017 having afternoon tea at Betty’s, shopping in Brown’s – and connecting with your own tourism business too, if they know about it. There’s also been plenty of filming going on in our picturesque city; Micklegate went back in time when the BBC filmed a new drama about the Brontes, ‘To Walk Invisible’, by the talented creator of Happy Valley. Much of the ITV series Victoria was filmed in Yorkshire, including York Guildhall and York Minster School (the backdrop for the House of Lords) and Castle Howard and Newby Hall (Kensington Palace). Maybe this year we’ll see Bedern Hall (our fantastic client, a non-profit) used for filming; the renovated building, a stone’s throw from the Minster, is a medieval marvel, beautiful inside and out, and available for weddings, parties and conferences. And, hint, hint, for filming! All in all, there’ll be plenty to discuss at this month’s Visit York Tourism Conference (25th) at the racecourse. The event is always a great opportunity to network and hear about developments in tourism – locally, regionally, nationally and internationally – with inspirational speakers giving top tips to tourism-related businesses. So, if you haven’t yet booked, don’t hang about – it’s THE tourism event! See you there! In the meantime, if you need help promoting your hotel, restaurant or any other tourism-related business, please get in touch for a consultation on 01904 863511.